Just like fashion I find my taste in jewellery changes with time. Pieces should reflect your personality as well as mean something to you. I think of jewellery as being a lot more personal than fashion, less throw away and more meaningful. 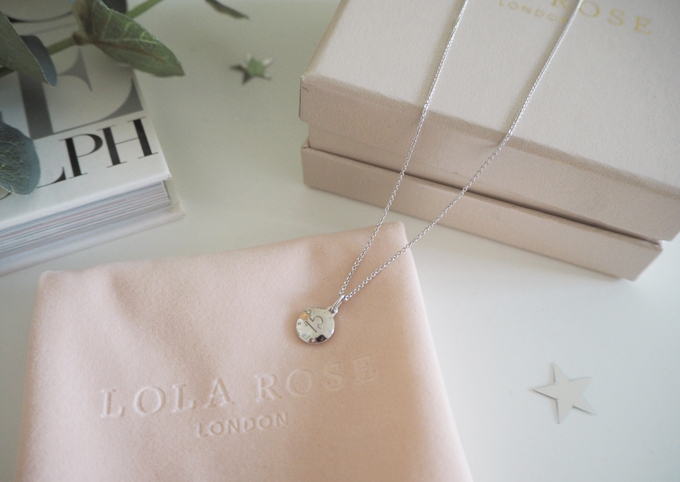 This is why I love this silver zodiac necklace from Lola Rose. I am fascinated with star signs and all things astronomical so this is the perfect gift for me. 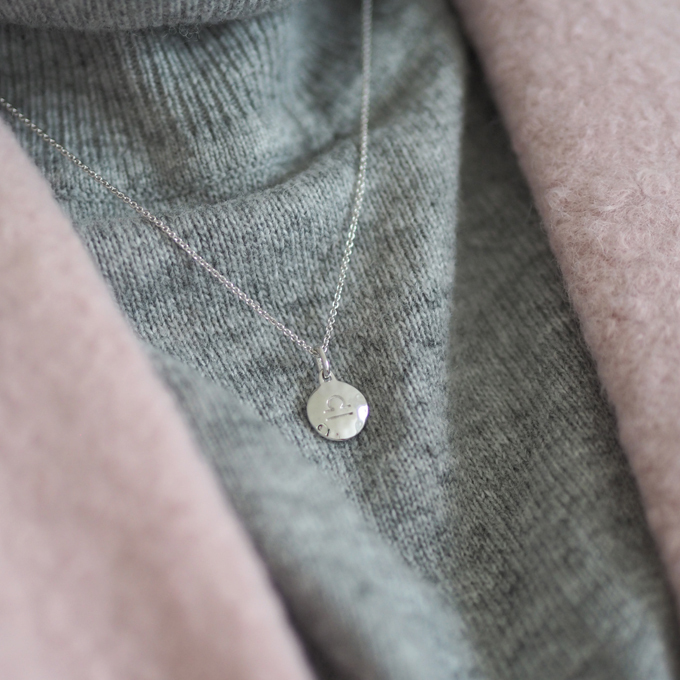 The pendant is just the right length to wear with a cosy roll neck jumper and the small Libra indentation makes it personal and unique. 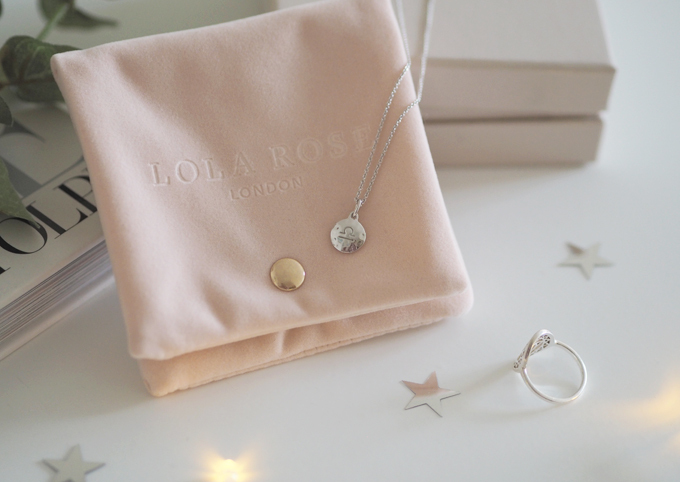 I love how all the Lola Rose pieces come packed in this gorgeous blush sleeve too. I am often sold on a piece of jewellery after seeing how well presented it is, especially if I am buying it as a present for a friend. I often pair this necklace with another favourite in my jewellery box, my chakra ring from Daisy, London. My mum bought me this ring for my birthday a few years back to match the chakra bracelet I wear every day. She chose the ‘throat chakra’ which symbolises truthful expression, loyalty and organisation to reflect my creative personality. Like the zodiac necklace, this ring has a personal meaning to me and I love that it helps express a little part my style. I think having meaning makes me enjoy wearing the pieces even more. I like to mix my jewellery up between gold and silver depending on my outfit or what other pieces I am wearing that day. I often go for simple gold pendants if I am wearing gold hoops or co-ordinate with some stacker rings. 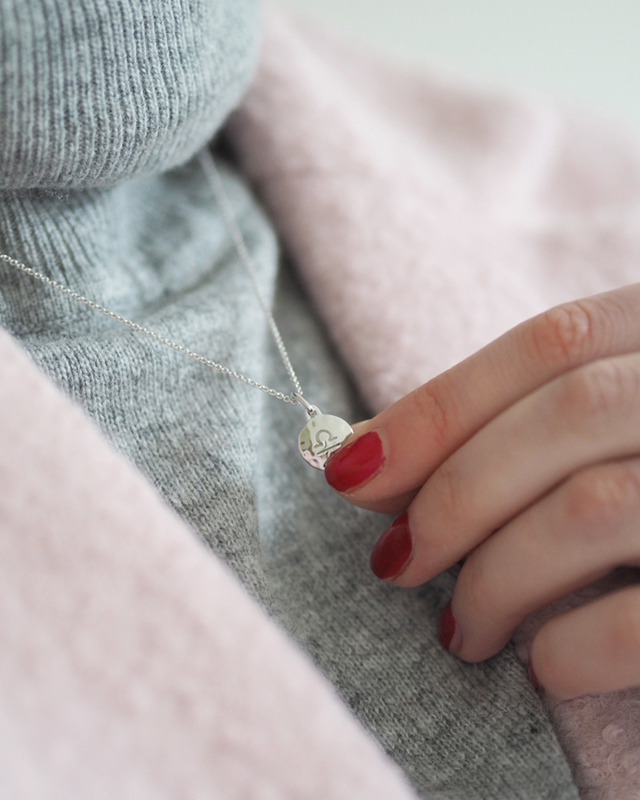 The thing I love most about dainty jewellery is you can wear a lot without over doing it. Stacking rings or layering up pendants means I can easily switch up my style day to day to suit my outfit and mood. I feel my choice of jewellery is a lot more considered and careful now. I still like to have fun with pieces, mixing up sizes and shapes but each piece has a meaning making me love it even more. 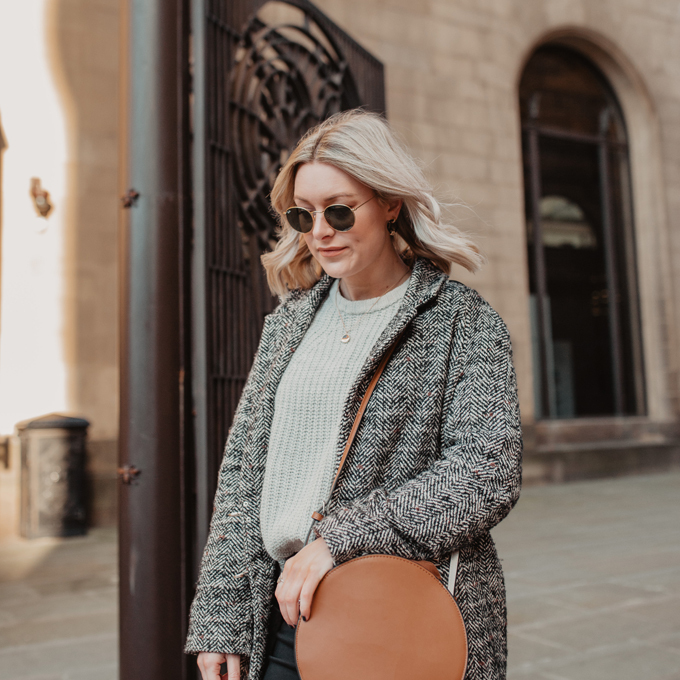 I like to source my jewellery from a mix of high-street and independent brands depending on what I like, there are some amazing delicate chains and rings in And Other Stories and Oliver Bonas at the moment so I often pop in there when I’m in Manchester. 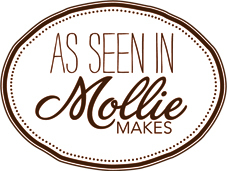 Where as I discover a lot of independent jewellery brands such as Missoma and Daisy London through Instagram and Etsy. Do you find your jewellery style changes over time? 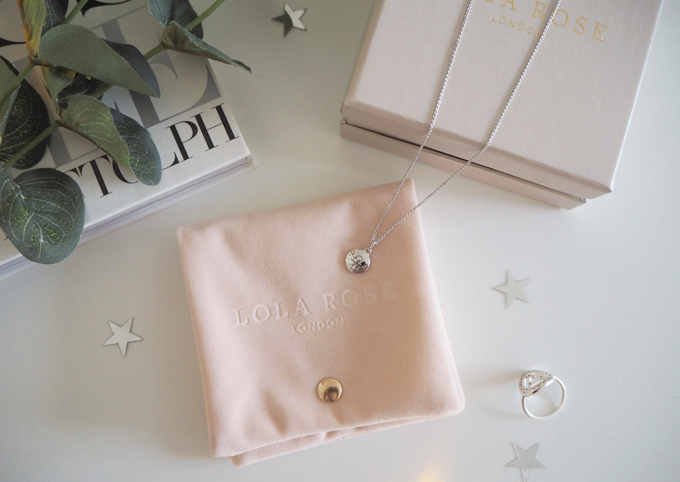 What’s your favourite jewellery brand at the moment? All items marked * are gifted but opinions are my own and honest. This post contains affiliate links.